One accusation that has failed to go in his three years as President of Nigeria is that of uncontrolled nepotism and “Northernisation” of the security architecture in the country. In disregard to extant conventions that seeks for the balance of security appointments across the Northern and Southern part of the country, President Muhammadu Buhari has chosen to disregard the convention and further polarized the nation across ethnic and religious lines in terms of appointments most especially security appointments. READ MORE: Since when did the Nigerian Army become afraid of UNICEF? The current crop of security chiefs including the outgoing Inspector General of Police Ibrahim Idris who would be remembered for his brazen abuse of power and disregard to established institutions of the country especially the judiciary and the legislative arm were all chosen from the Northern part of the country apart from the Chief of Defence Staff, General Abayomi Olonisakin whose position has little or no authority over other service chiefs. While several individuals and groups have condemned the insensitive nature of the appointments, Buhari’s promises to make amends have proven futile as he continues to appoint Northern indigenes to key positions. To show he is an unrepentant nepotistic leader, Buhari in the year 2018 removed Matthew Seiyefa the Acting DG of DSS and replaced him with Yusuf Magaji Bichi who was recalled from retirement to head the nation’s intelligence Agency. As usual, all cries especially from the Niger Delta zone fell on Buhari’s deaf ears. 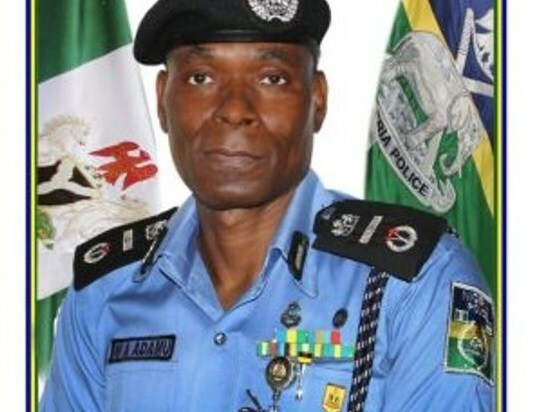 To show he care less about the unity of the country in preference for his Northernisation agenda, Buhari has replaced the outgoing IGP Ibrahim Idris with another Northerner AIG Adamu Lafia from Nassarawa State. This appointment coming a few weeks to the 2019 general elections shows Buhari commitment to one Nigeria is a farce. That he can’t find a Southerner as Idris replacement as customs demand shows the type of leader Buhari is.